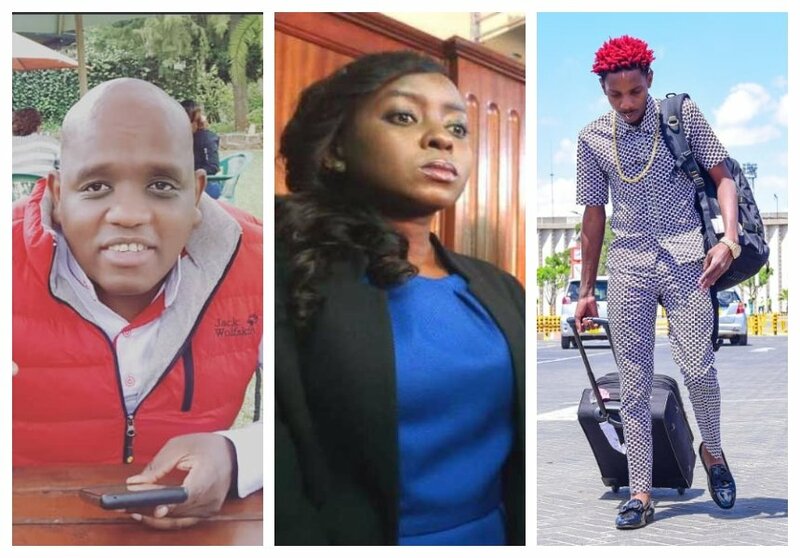 Dennis Itumbi has come out to defend Eric Omondi after he was severely criticized over a post on Jacque Maribe. Both Eric and Itumbi have a ‘strong connection’ to Maribe. Eric caused a stir when he posted a photo of Jacque Maribe’s son on IG on October 9th. The comedian is rumored to be the father of Jacque’s son. Critics fired at Eric for failing to acknowledge that he is the kid’s father and for failing to stand with his baby mama in her hour of need. Dennis Itumbi is now defending Eric following the trolls. Note that Eric and Jacque dated years ago before they broke up sometimes in February 2015. Jacque indirectly announced the breakup when she was seen publicly exchanging saliva with Dennis Itumbi. Speaking during an interview with Word Is, Itumbi said that Eric was only expressing his friendship to Jacque just like him and many others. “Eric Omondi is an adult and what people say on social media cannot change his friendship with anyone. If he has expressed his friendship towards Jacque Maribe just like me and many others, it doesn’t matter what you write on social media, we will continue being friends. I cannot comment on whether he is the baby daddy or not, but I’m sure Jacque at the appropriate time will address the issue,” said Dennis Itumbi.